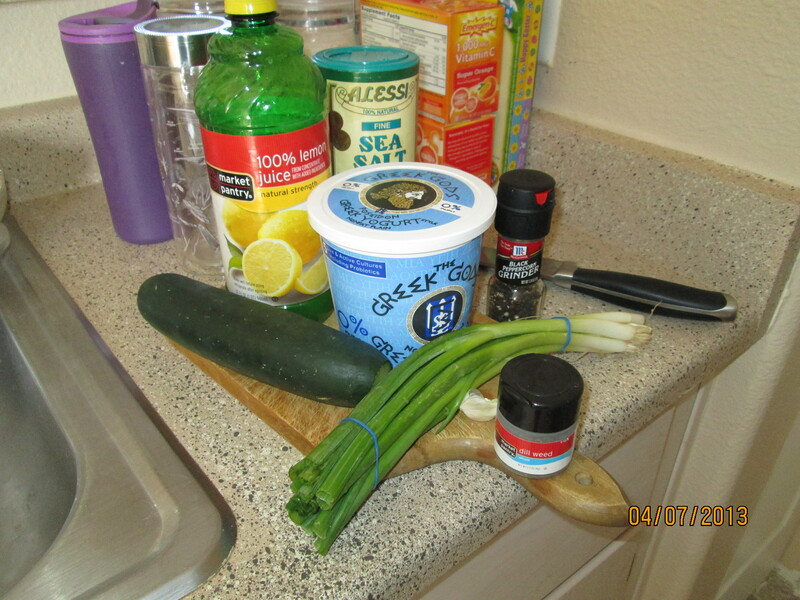 This is a delicious tzatziki recipe that is so easy and healthy! And from one of my favorite food blogs: Skinnytaste.com. I would definitely consider eating just this for breakfast as odd as that sounds. The first time I made it, I strained the yogurt the way the recipe asked for, but so little liquid came out! I haven’t done it since. You DO have to squeeze the water out of the cucumber for sure. I have also not used fresh dill because I haven’t had it on hand. Dried works fine, too. I used a fat free plain Greek yogurt. I used a regular one first, but the fat free was just as good and easy to use. The texture seemed a little different at first, but it didn’t matter in the end. I really like this on my Falafel! I think if you use regular, not Greek yogurt, the draining is very important. I agree, but I seem to remember the recipe calling for Greek yogurt anyways. The draining hasn’t seemed very important when using Greek yogurt. Although it is very important to get the water out of the cucumber! Thanks for mentioning my shinycopperpig blog post! 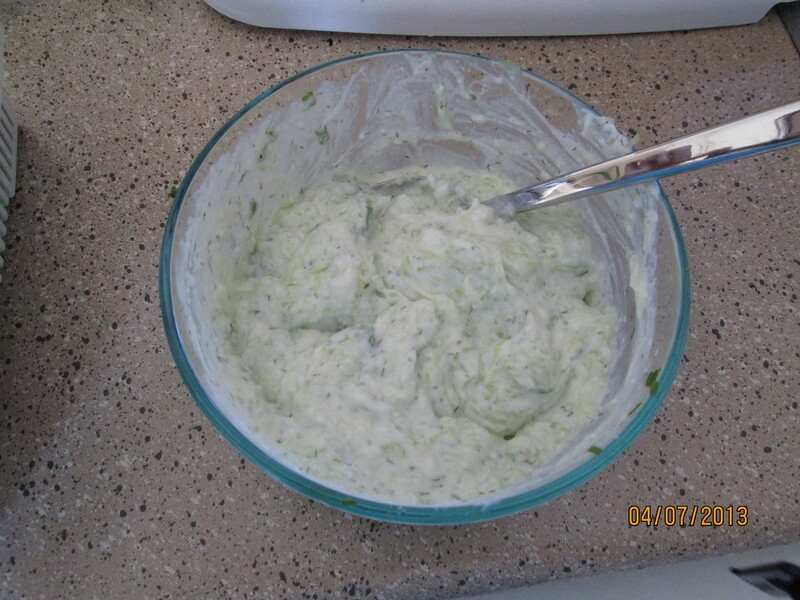 I do love this dip, and had forgotten about draining the cucumber. Excellent reminder.